Greetings to all. Yes, it is Kerry here, standing in for the nonpareil Fireblossom, who could not post this week, due to unforeseen circumstances. In the spirit of the genuine article and inspired by one of Shay's favourite poets, I bring you today's challenge. 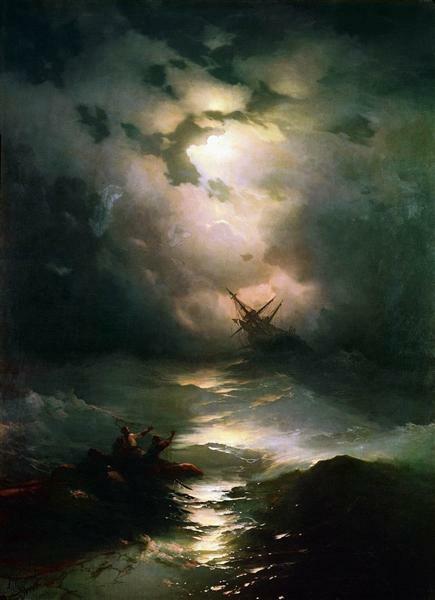 Shipwrecks were common in Dickinson's time, and in this poem she contrasts the joy that the storm is over and four people were saved with the sorrow that forty people lost their lives. Notice how Dickinson uses punctuation marks to emphasize feeling. The sombre tone in the final stanza is an appropriate response to the pointed question of the children. We seem to live in a society increasingly hungry for stories of other people's suffering, and often forget that individual lives are a part of those news headlines. Thus, today's challenge is to write about what it means to be shipwrecked in our times, either literally or figuratively. You may choose your own point of view: are you a witness, a survivor, or one who will go down with the ship? September 13 this year, marked the centenary of Roald Dahl's birth in Llandaff, Cardiff, 1916. 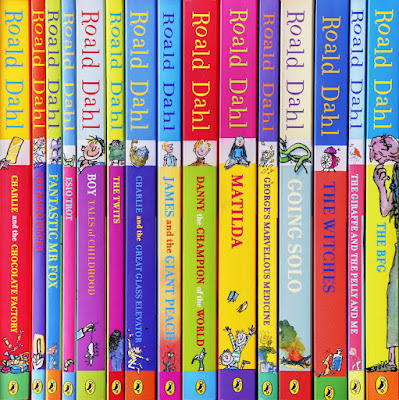 Dahl was a prolific writer of poetry, short stories and children's literature, with 200 million copies sold worldwide, translated into 59 languages. Read the wonderful article on BBC.com. With the recent passing of the beloved actor, Gene Wilder, whose portrayal of Willie Wonka is nonpareil, I have been thinking of the huge debt of gratitude we, as the collective members of the living human race have to the authors, publishers, book-makers, actors, singers, poets... all and any who have made it their life's work to tell our stories. It is one of the greatest legacies of creativity and intellect. Today is our day to add a drop to the ocean, so our generation may also be represented in times to come. Welcome to Play it Again, Toads! where archived challenges of this Imaginary Garden come to life again. Have fun exploring the side bar (2011 - 2016) and selecting your own or choose from three I've highlighted below. 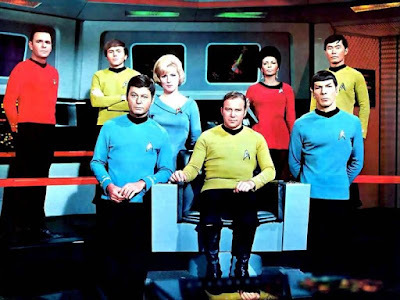 My husband and I come from very different backgrounds, but one of the things we agreed on was that we’d bring up our children with the love of geekery – comics, fantasy and sci-fi in novel and TV form, etc. We’ve kept it age appropriate with Star Wars coming before Buffy, and a cute film called Sky High before the Avengers. Now the movie makes the case that sidekicks can be heroes. Sometimes all it takes is being willing to see them in a different light. So for this prompt, I want you to create a poem that takes a peripheral or sidekick character from any book (comic or otherwise), legend, film or TV show, and give them a voice. You are free to choose outside the superhero genre if you’d like. Writing about how Krypto the Super Dog spends his days at Superman’s Fortress of Solitude when the Man of Steel isn't around is just as fine as writing about how Mary Benet copes with being the middle child, literally and metaphorically, between headstrong Lizzie and shallow Lydia. 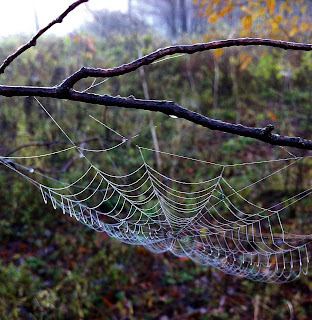 Remember, this must be a new poem created for this prompt. 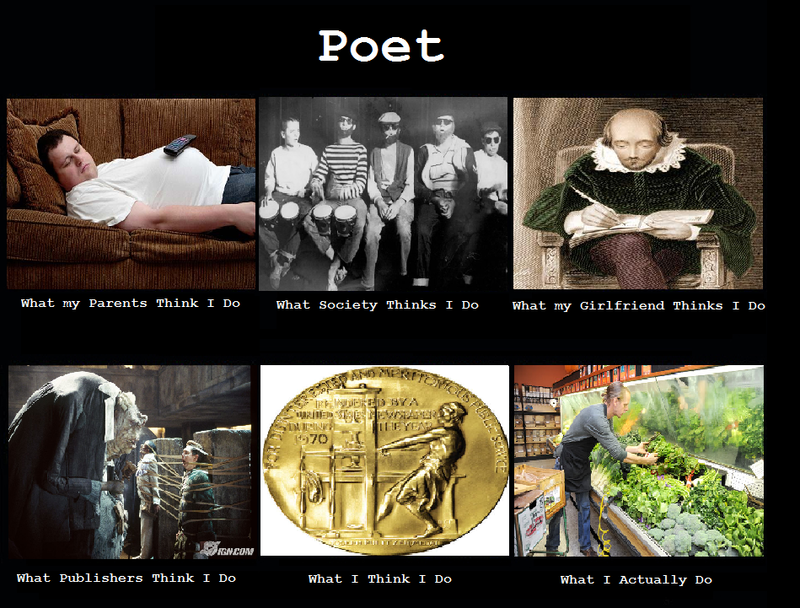 Do be sure to visit your fellow poets. I look forward to reading all of your poems. And for thy bearing high. And are they not all thine—still thine? Is not thy heart as true? Holds not thy step its noble grace? And have I not an ear to hear? And a cloudless eye to see? That first was stirred by thee? Poem from The Bouquet: Containing the Poetry and Language of Flowers, 1844. Photos (c) Marian Kent. Of course, many think poetry developed as a means of remembering story, as in Homer's great epics, the Iliad and the Odyssey, tropes and rhymes serving as mnemonics. Then came a whole tradition of ballads--musical poetry that gallops a tale along--and also specific poem stories like Richard Cory by Edward Arlington Robinson, or even “I heard a fly buzz when I died,” by Emily Dickinson. 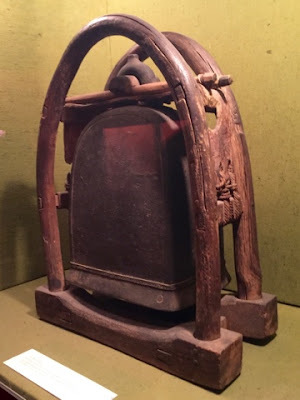 Modern poetry sometimes tells stories rather indirectly--something like a journey or an exploratory excavation might take place in the walk-through of a house (where nothing seems to happen in the immediate poem, but whole lifetimes are told.) 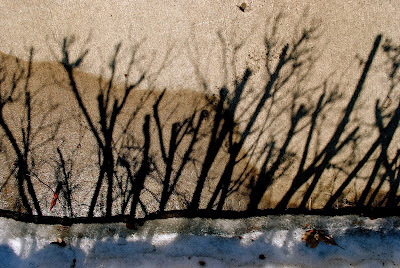 Here are two examples : "A Story" by Philip Levine, and "Abandoned Farmhouse "by Ted Kooser. The prompt today is to think of some narrative when writing your poem. Your poem does not need to directly tell a story--though it can--but whatever you write about, try to follow through on its thread; even let that thread lead you, though it may not have a clear sense of where it is going! Your starting off point may be something quite surreal. (Actually, I encourage this.) I’ve always loved this short poem by Russell Edson, Our Sincerest Regrets, about a toilet sliding into the living room. Part of the reason I like the poem so much is that Edson follows through on the specifics of his initial premise--what would a toilet sliding into the living room be like? What kind of trail might it leave? Why would it do it? Your narrative poem need not be long. One of the most powerful stories in the world is the six word story by Ernest Hemingway: "For sale: baby shoes. Never worn." 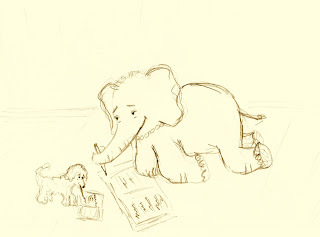 Because they are a dog and elephant, they prefer to be tethered to the page by pens rather than threads. I look forward to reading your poems. I am sorry to have been so absent, not a great time for me. 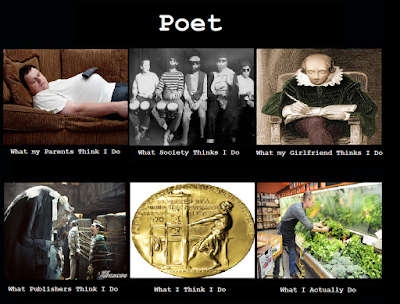 I urge you to visit your fellow poets. 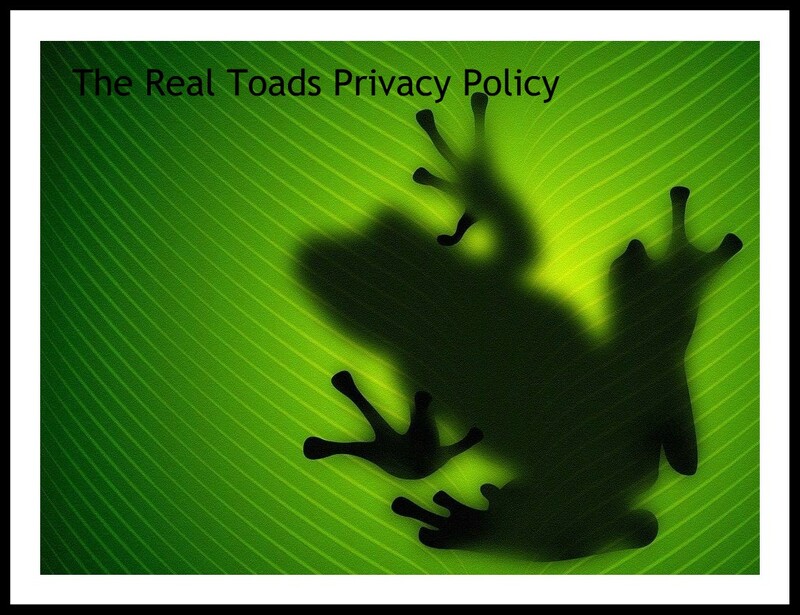 Hello dear Toads and visitors. 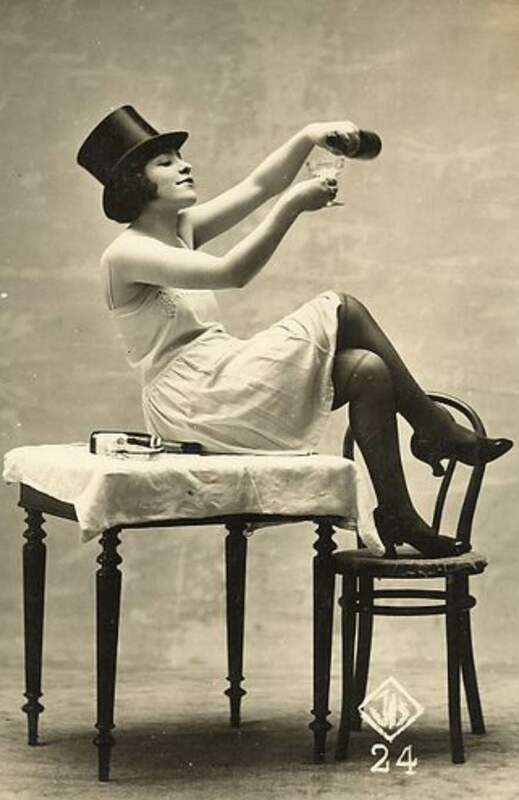 Today I would like to introduce you to Ellen Kort. 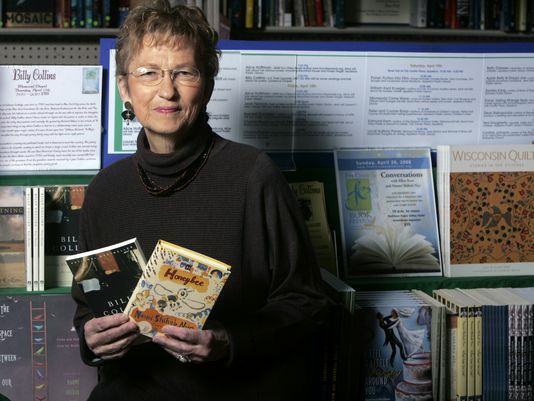 She was Wisconsin's first Poet Laureate, serving from 2001-2004. She was the author of eleven books and eight collections of poetry. Ms. Kort's poetry has been performed by the New York City Dance Theatre and recorded on audio by Ellen Burstyn, Ed Asner and Alfre Woodard. While reading some of her poetry I came across the poem, If Death Were A Woman. I was intrigued by the concept and delighted by her approach to something we often coin as bleak. Below is an excerpt from the poem. Who would the woman named death look like, Helen Mirren? She actually portrays death in the upcoming movie, Collateral Beauty. Whatever Lady death is I want you to write about her. You can approach the topic in whatever manner you choose. It could be physical death, death to eating your favorite food. ( I can no longer eat chocolate. There was much moaning as I parted ways with one of my favorite sweets.) It could be the death of a summer garden, a cherished pet, your favorite television show. As always write and share an original poem. Drop it into Mr. Linky. Take time to visit your fellow poets to read their responses to the challenge. I will be gone when this is posted. I am attending Indie Vengeance Day (an independent publisher/author event) in Frisco, Texas. I will read and comment when I return. Thanks everyone for participating!! Ann Ross in The Folklore of the Scottish Highlands writes that sinister powers were always in play in our earlier daily rounds. Someone with the Evil Eye casts an askance look at one of your prize cows, and the poor thing falls dying; another with the gift of charming would weave words upon an amulet, and Daisy would rise again with a huff and a fart and resume chewing her cud, delivering again the milk of human happiness. Thus darkness and light spiraled through the day and life and beyond. Carmichael records how in February 1906 a Benbecula man came across to North Uist in order to buy a horse. Observing a fine animal outside the house of a certain crofter, he praised the beast and continued on his way. He had hardly passed out of sight when the horse had fallen to the ground and was rolling in agony. People knew this Benbecula man was reputed to have the 'Eye', so the owner of the horse immediately went to a woman versed in counteracting this distressing power. 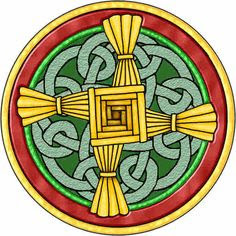 She twined with her teeth three threads of three ply, and different colours, and instructed the owner of the animal to tie these, one after the other, round the base of the horse's tail, in the name of the Trinity. He did as the woman advised, and at once the animal recovered. 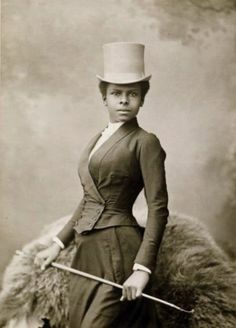 The charmer told the horse's owner that she had inherited this knowledge and power from her father, a very devout Christian, much given to prayer. She apparently was able to ascertain from the beginning of her prayer whether the illness had been brought about by natural sickness or by the Evil Eye. If the sickness was natural, then she would advocate conventional cures; if due to witchcraft, then she brought about the remedy by the power of her prayer. She maintained that the Evil Eye of a man, although less venomous than that of a woman, was more difficult to counteract then that of a woman. A common effect of their powers on all true charmers or healers, is the illness and weakness that they themselves experience after having performed their cure, sometimes almost to the point of death. To remove the damage brought about by witchcraft involved a severe struggle against the powers of evil and inevitably resulted in total mental and physical exhaustion. Such white witches, or charmers believed that their power came from God and that it was incumbent upon them to use it, no matter how unpleasant the consequences to themselves may be. Not to use the gift would involve its weakening and ultimate loss. At times I think of writing poetry that way, as physic against an ill, shaping something tight and magical which restores the balance of a day, a life, a world, if only in the saying. For this mini-challenge write a short poem (10 lines or less) binding up a spell or charm for something that plagues some aspect of daily life. Invoke a depth or shade or deity of heart and cast it over an ailing. Maybe the Eye is a new unaccountable ache, or something chronic and cresting or just getting old. Maybe it’s the shadows lengthening behind a beloved pet. Maybe it’s for the lingering sorrow for those lost in Chicago’s incessant South Side gunfire, or the children of Aleppo, or the ghosts of those still walking where the World Trade Center towers fell 15 years ago today. The charm is what you weave around that chill shadow from whatever strands of poetry you have learned—whatever inner well of inspiration you carry in your words. Name it, claim it—let it go here—but use the gift, else it fade away. A bag of charms for a brooding Sunday, yes: Let’s see how we can restore that milk! Image copyrighted: Isadora Gruye Photography. Reprint only with permission. 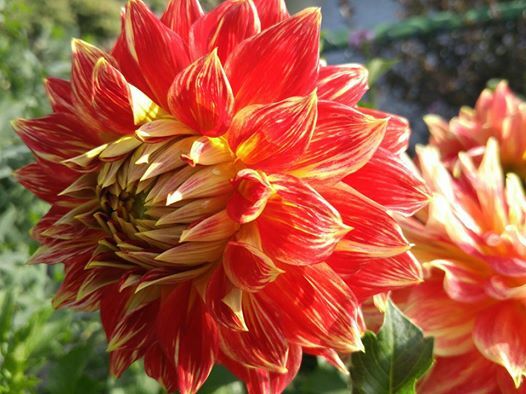 As friends in northern hemisphere are entering the colder, darker months of autumn and winter, friends in the southern hemisphere are heading toward the hot summer months. That is why today’s challenge will focus on the heat that sustains us in the winter and that we celebrate in the summer. Only......there is a catch. The challenge - write a poem about a fire that doesn’t come from flames or the sun. Bonus points awarded for those who are able to avoid using the words “fire” “flames” or any fiery imagery. It is time for the Flash 55 Challenge in the month of September. The rules of this prompt have not changed: Write a piece of poetry or prose on a subject of your choice in precisely 55 WORDS. For the OPTIONAL EXTRA part of this challenge, I invite you to consider the artworks of the Nigerian painter, sculptor and musician known as Twins Seven Seven. 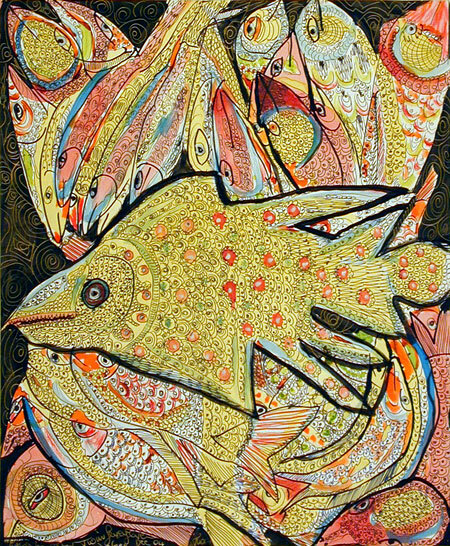 Born Prince Taiwo Olaniyi Oyewale-Toyeje Oyelale Osuntoki (3 May 1944 – 16 June 2011) in Ogidi, Kogi State, Nigeria, Twins Seven Seven is best known for his paintings in the Naive Art or Primitivism style. His work is influenced by traditional Yoruba mythology and culture, and creates a fantastic universe of humans, animals, plants and Yoruba gods. You may peruse his work on WikiArt.Org. Welcome to Artistic Interpretations. 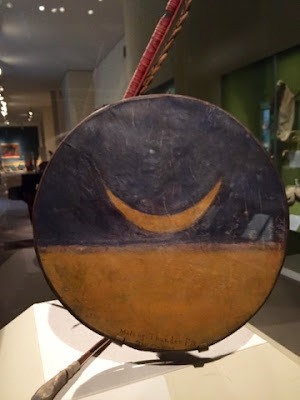 I made another trip to New York a few months ago to visit my son and we had a fantastic time tooling around the Metropolitan Museum. This was the first time I visited the Musical Instruments Exhibit and I was quite taken with their artistry and history. I share a few of them here with you. For this challenge, you may write in any poetic form that suits your fancy. 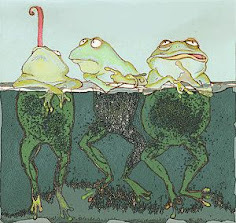 You may be inspired by the photo, the You Tube Link provided for each, or a bit of both. 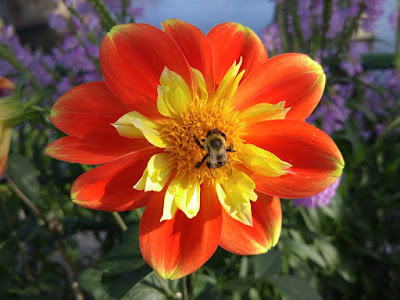 Please link your original poem (or poems) to Mr. Linky at the bottom of this post and be sure to pay a friendly visit to the other linked poets. Thank you for playing and I look forward to your artistic interpretation! In the 19th century, bowed instruments fashioned in the shape of peacocks were quite popular. Taus is the Persian word for peacock. Sikhs credit the invention of the taus to Guru Har Gobind (1594-1644), the sixth Sikh Guru. The tenth Guru, Guru Gobind Singh (1666-1708) is credited with inventing the dilruba, the descendant of the taus. Today performance of this instrument is most popular among Sikhs, who primarily live in the Panjab region of India and Pakistan. Mayuri comes from the Hindu word Mor (peacock). 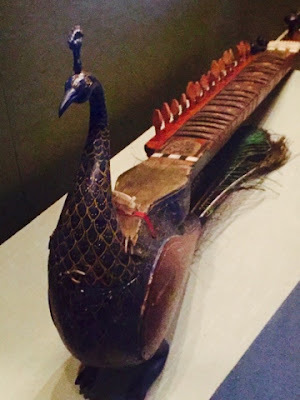 By the late 19th century, peacocks were commonly associated with Saraswati the goddess of knowledge and music. 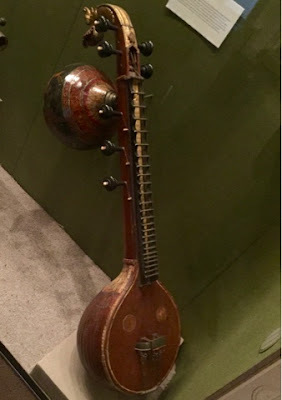 Also known as Saraswati even, after the Hindu Goddess of knowledge and music, this veena is the principal stringed instrument of South Indian classical music (Carnatic). 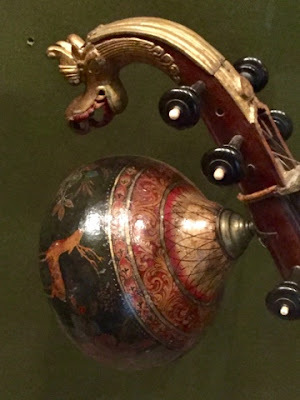 Unlike the North Indian bin, or ruder veena, the head of the Saraswati veena often takes the form of a yali, a protective spirit with the head of a lion and body of a dragon. The yali on this even is elaborately painted and gold leafed. The gourd-shaped counterweight features a painting of a deer on a floral pattern. Thailand - I believe it can also be called the Yueqin. HERE is a Wikipedia description. I'm quite taken with the beautiful sound of this instrument. The design of this bell is typical of southeast Asian animal bells. 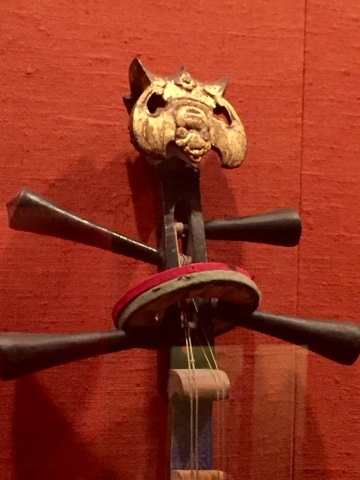 This one, like smaller identical bells worn by water buffalo, was mounted upon a yoke. 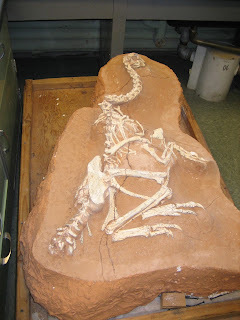 United States, Northern Great Plains. Wood, leather, sinew, metal, pigment. Symbolic patterns and figures frequently decorated Native American drums. This one, made about 1887, was painted by Thunder Elk in 1904 but its symbolism is unclear. Yellow, here representing the earth, is often associated with abundance and dark blue with the sky. Frame drums were used to accompany song and dance in both secular and sacred contexts. 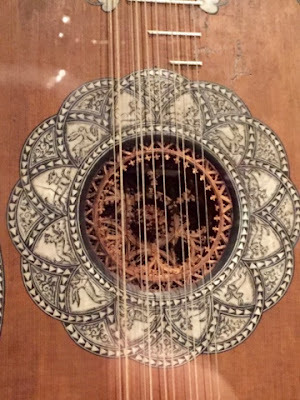 Just as Stradivari's career began about 1665, there was a major advance in string making: the development of gut strings overseen with fine metal wire. With the availability of these new strings, Stradivari was able to reduce the size of the cello, thereby improving its acoustical qualities and making it easer to play. Of the approximately sixty Stradivari cellos that are extent, about twenty are of this smaller size. The "Batta-Piatigorsky" is considered one of the best examples of this smaller, improved model. 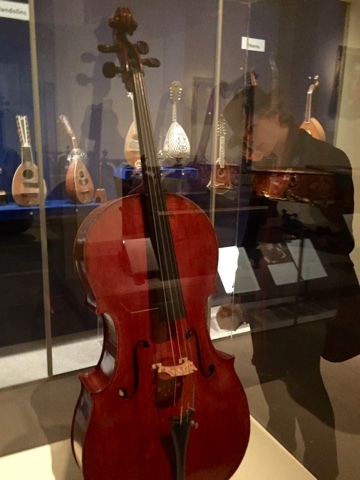 The "Batta-Piatigorsky" 'cello is named after the distinguished Dutch cellist Alexandre Batta (1816-1902), who purchased it in Paris about 1836. This instrument was Batta's steady companion for most of his career, but in 1893, circumstances forced him to part with it, and he sold it to the London dealer William E. Hill & Sons, who purchased it for the violin collector Baron Knoop. the great Russian-born cellist Gregor Piatigorsky (1903-1976) acquired the instrument from Dr. Daniel Catlin, the son-in-law of th heart collector and Metropolitan Museum trustee, Horace Havemeyer, who himself owned and had lent Piatigorsky another important Stradivari cello, the "Dupont." Piatigorsky wrote in his autobiography: I played the "Batta for a long time before appearing in concert with it. In solitude, as is befitting honeymooners, we avoided interfering company until then. From that day on, when I proudly carried the "Batta" across the stage for all to greet, a new challenge entered into my life. While all other instruments I had played prior other "Batta" differed one from the other in character and range, I knew their qualities, shortcomings, or their capabilities to full advantage. Not so with the "Batta," whose prowess had no limitations. Bottomless in its resources, it spurred me on to try to reach its depths, and I have never worked harder or desired anything more fervently than to draw out of the superior instrument all it has to give. I don't believe any of the videos are of the "Batta", but certainly a genius of the man shines through. 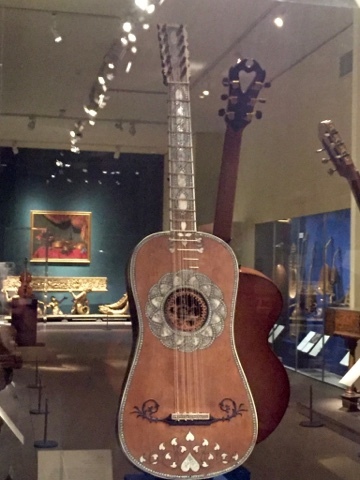 The guitar above is attributed to Matteo Sallas (1612-1652) Venice, 1630-50. This guitar has five double strings - a model now known as a "baroque guitar" since the form was popular in the seventeenth and eighteenth centuries. The strings are made of gut, as are the frets along the neck that are tied to the instrument. The guitar has a vaulted back with scalloped snakewood ribs and ivory spacers. The back of the neck is inlaid in a checkerboard pattern made of bone and snakewood squares. The rosette (a modern replacement) is of parchment. The Sellas family, active in Venice in the seventeenth and early eighteenth centuries, was noted for their highly ornamented lutes and guitars. 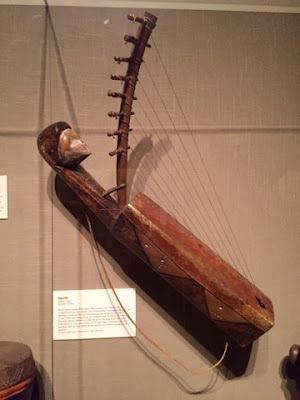 Lyres have two wood or horn arms that project from the body and carry a crossbar to which the upper ends of th strings are fastened. The strings lie nearly parallel to the countable. 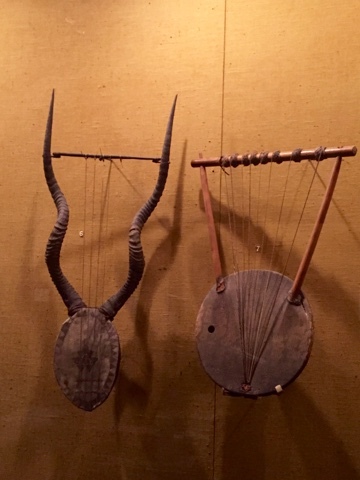 African lyre bodies are made of wood, gourds, tortoise or coconut shells. Most African lyres lack bridges: the strings vibrate against the soundable to create a buzzing sound. #7) Ending with lizardskin soundable and hide tuning rings Ganda or Uganda? 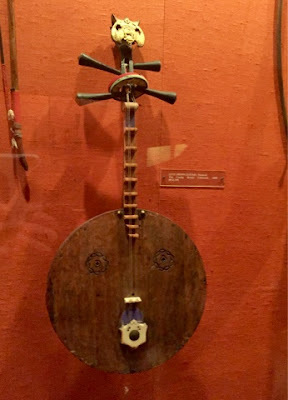 When used in rituals of the Bwiti religious group, the sound of the ngombi is thought to be the voice of the "sister of the creator" (Nyingwan Mebege). Her likeness is carved on the top of the harp and the strings are thought to be sinews of her body representing her endurance and flexibility. The ngombi is also used among Catholics in Gabon for whom the harp is the interpreter of God's words to man and a symbol of the Holy Virgin. The harpist asks God questions with the four higher strings and the four lower strings give God's answers.